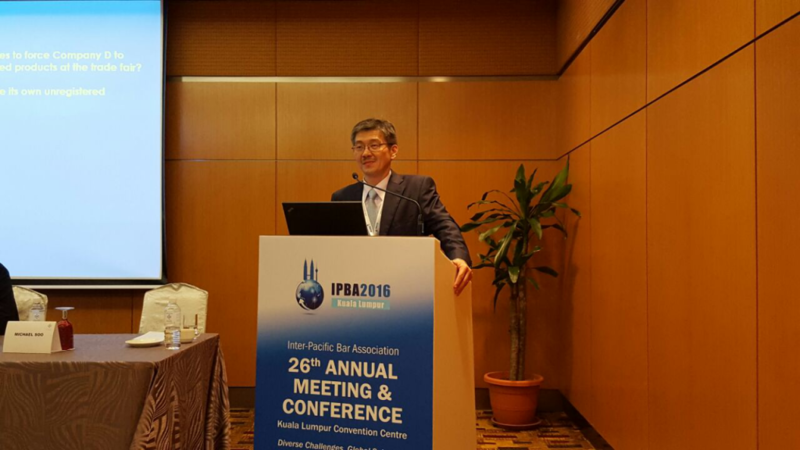 During the recent Inter-Pacific Bar Association 26th Annual Meeting and Conference in Kuala Lumpur which was held from 13 – 16th April, 2016, Michael Soo, Head of our Intellectual Property, Information Technology and Licensing department and Riccardo G. Cajola (Cajola & Associati, Italy), moderated a session entitled, “How to Manage Multi-Jurisdictional Trademark Disputes in the Asia Pacific Rim”. The session included a hypothetical dispute and strategic discussion among the panelists regarding where to file, how to gain leverage and what other considerations would arise in different jurisdictions. The speakers were Pan Lidong (Co-effort Reiz Law Firm, China), Frédéric Serra (Froriep, Switzerland), James Lee (Lee Tran & Liang, USA) and Ayumu Iijima (Innoventier L.P.C., Japan).